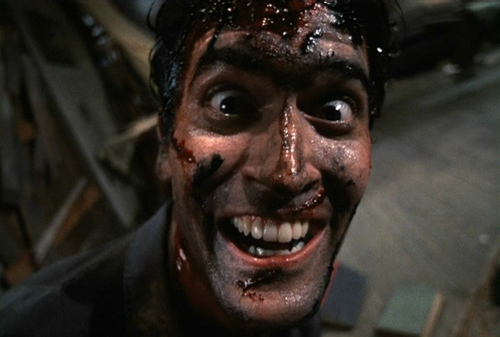 Bruce Campbell Will Star in ‘Evil Dead’ Series!! Looks like Sam Raimi was holding a little something back when he spoke about his ‘Last Of Us‘ project at Comic-Con. Raimi was excited about his new project, and added a little info that he and his brother, Ivan Raimi were co-writing ‘The Evil Dead‘ TV show with Bruce Campbell. While this is great news for fans of ‘The Evil Dead‘, it managed to get even better. How could this get better? Campbell, who was the star of the original trilogy, confirmed on Twitter that he intends to star in the series! It sounds like things are going forward with this TV show. 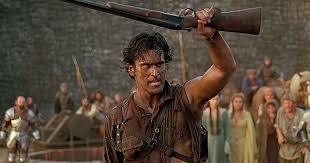 As far as ‘Evil Dead 4‘ or ‘Army of Darkness 2‘, that is not being developed at this time. And so far, director Fede Alvarez has not signed on in an capacity to the show, but Sam, Ivan, and Bruce are definitely on board. Now that being said, this needs a network that will allow the creators to show everything they want to. I’m looking at you AMC, FX, HBO, Showtime. Please don’t let this series get away from you. It has the potential to make millions. This entry was posted on Tuesday, July 29th, 2014 at 2:54 pm	and is filed under Film, News, Television. You can follow any responses to this entry through the RSS 2.0 feed. You can skip to the end and leave a response. Pinging is currently not allowed. « Is ‘Boondock Saints 3’ Actually Happening?!? !